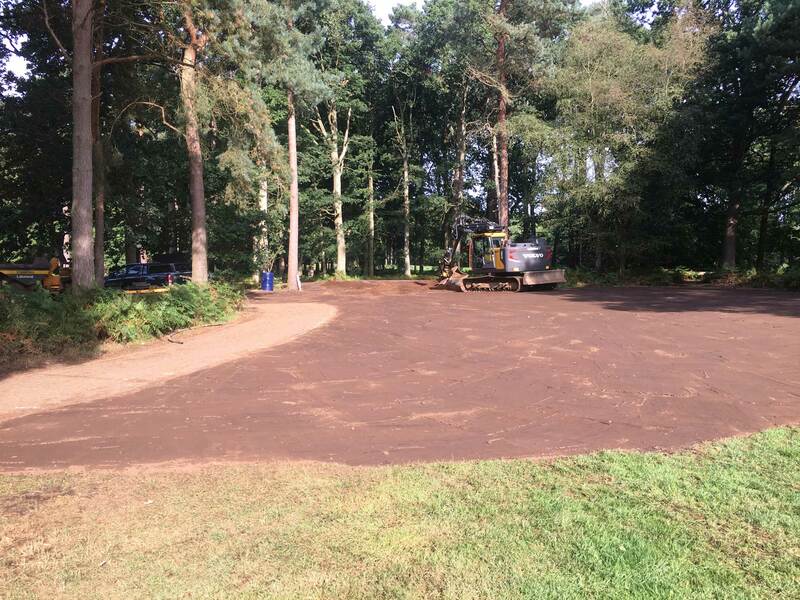 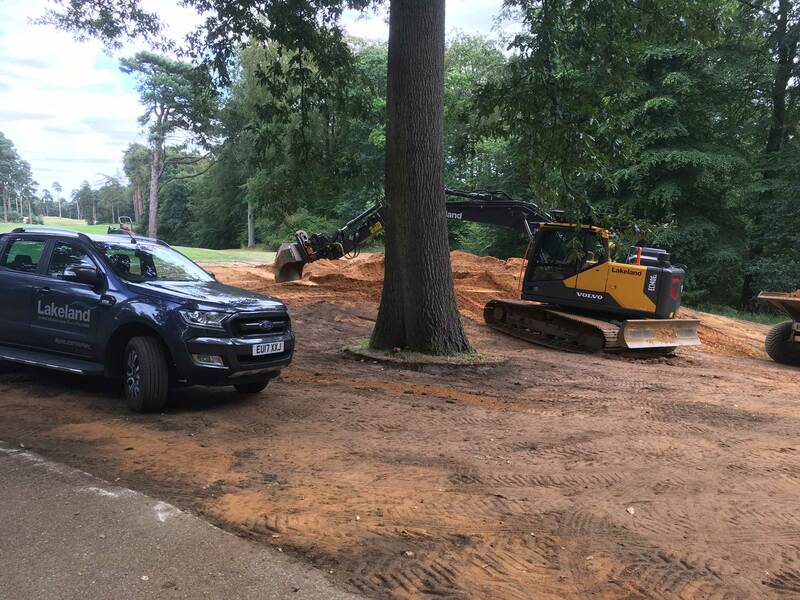 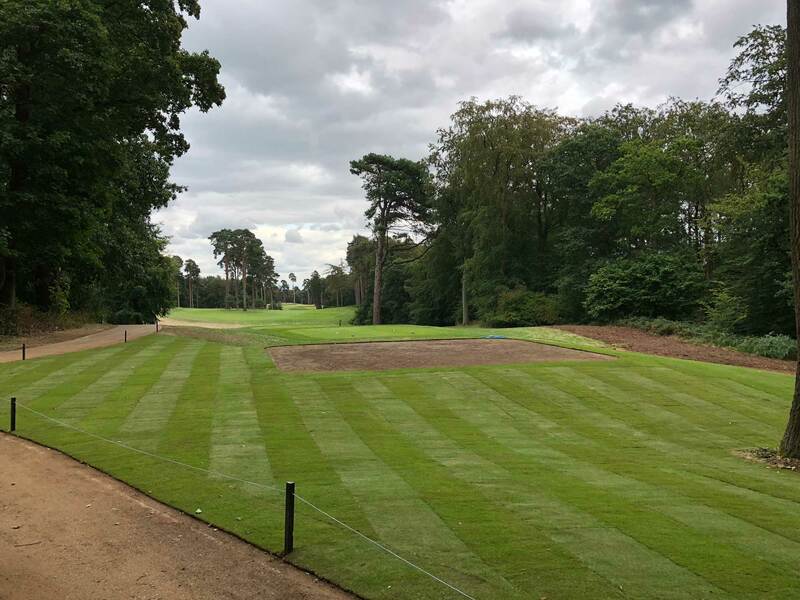 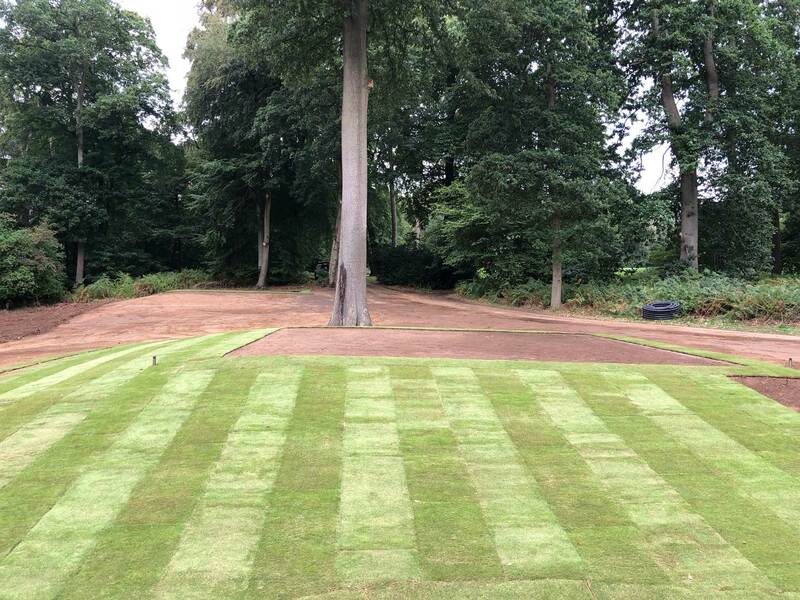 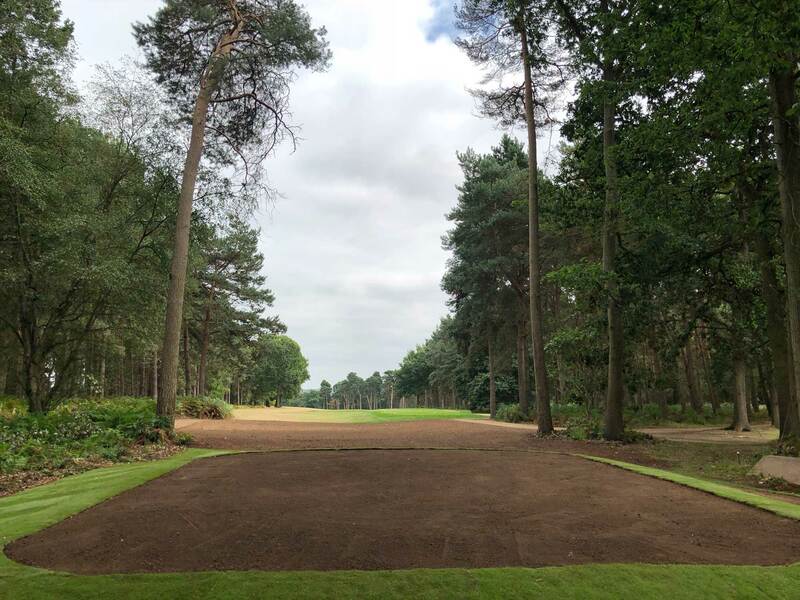 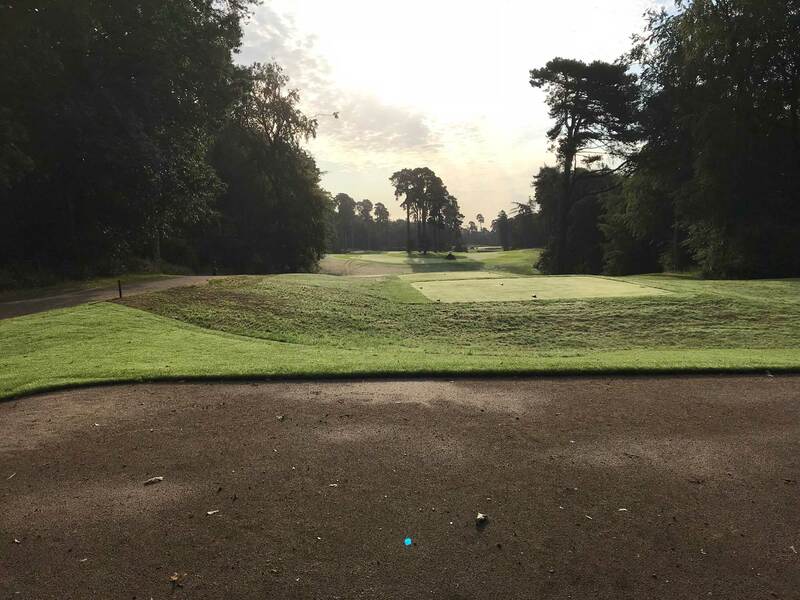 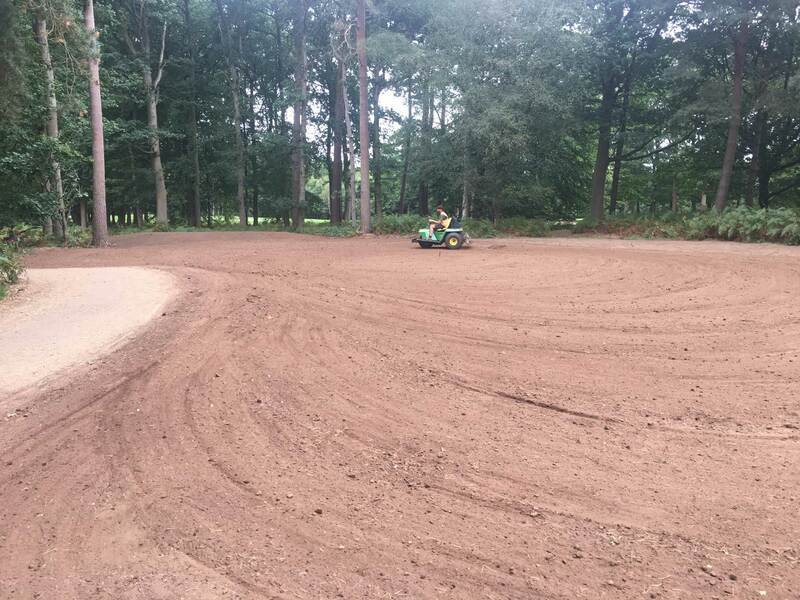 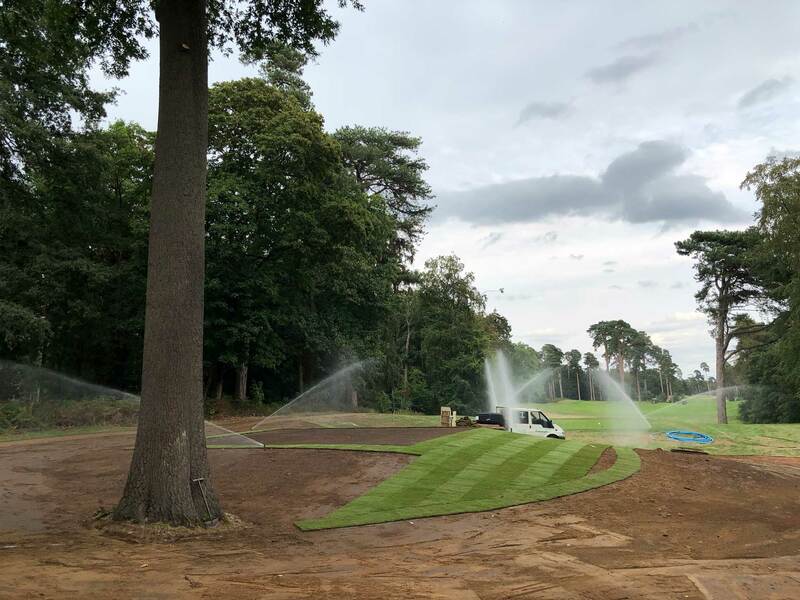 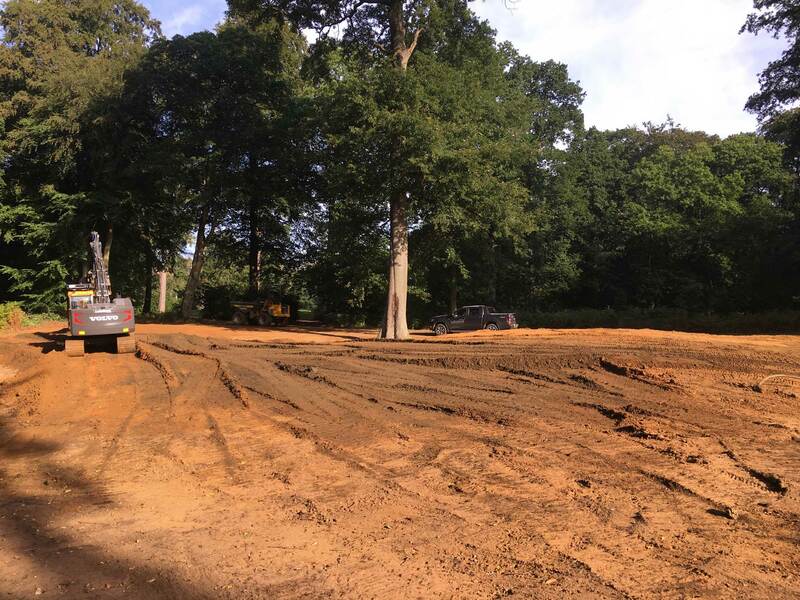 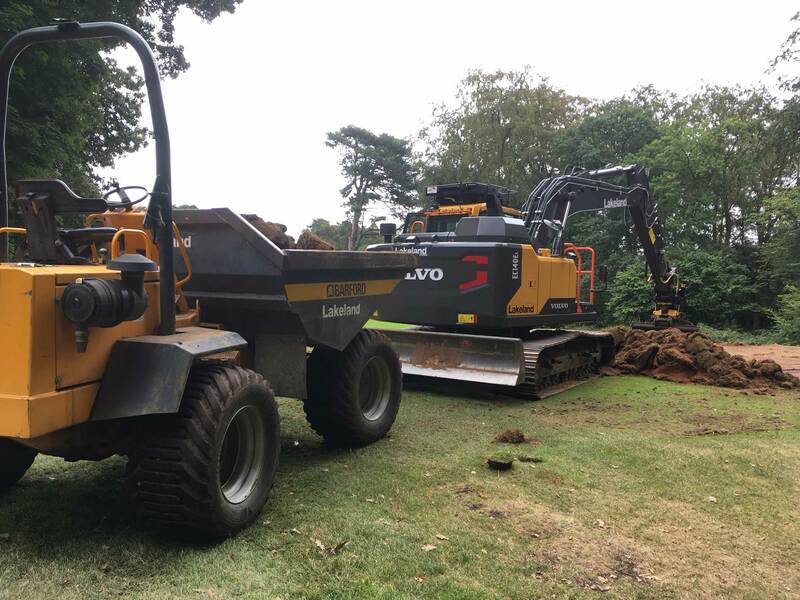 In August we reshaped the 7th tee complex on The Marquess’ course at Woburn Golf Club. 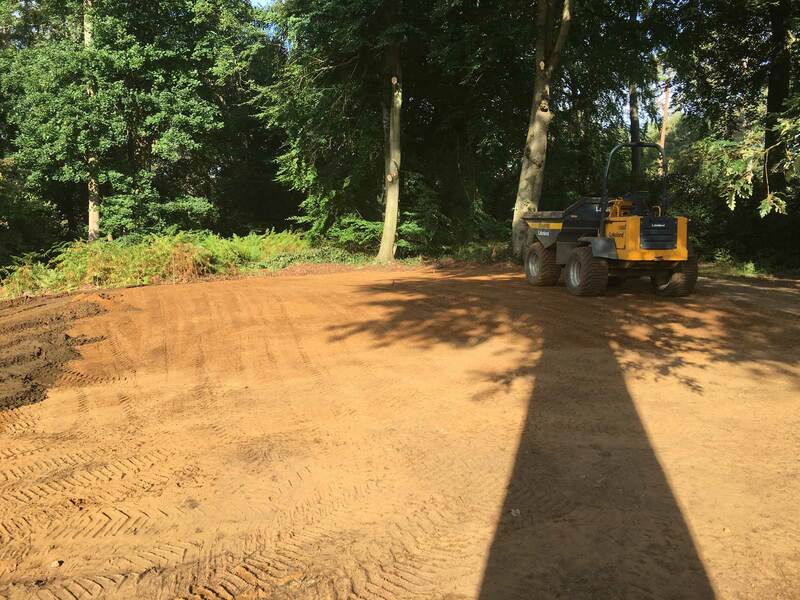 The project included a new tournament tee and a reduction in size of the existing yellow tee. 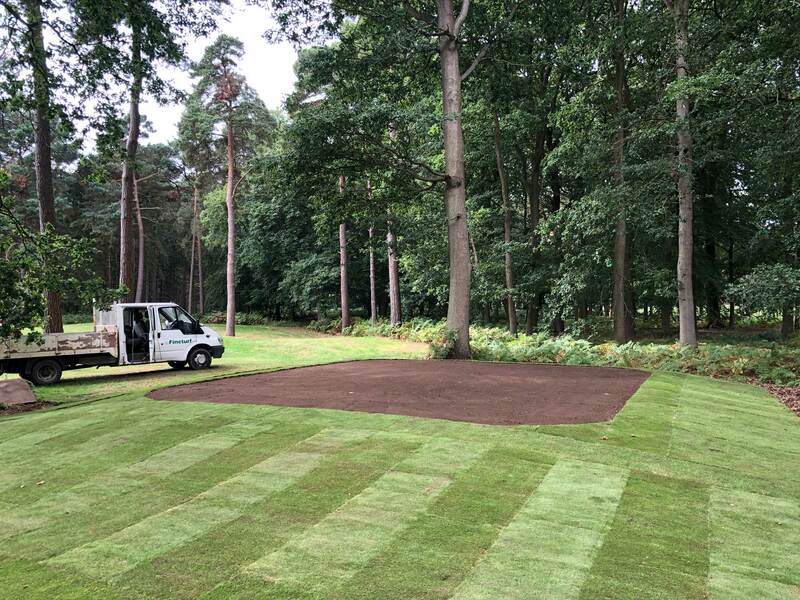 We stripped the existing turf, topsoil and tree stumps. 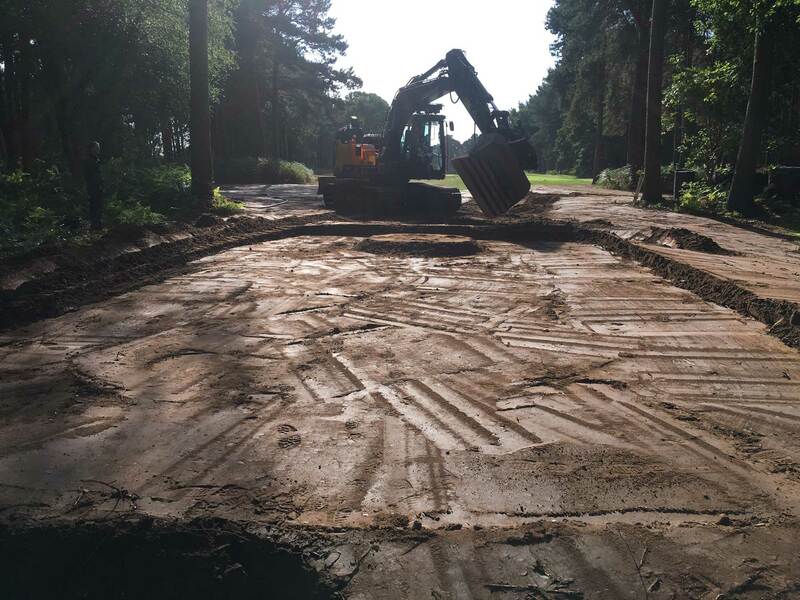 We shaped the formation of the new tee and consolidated in layers. 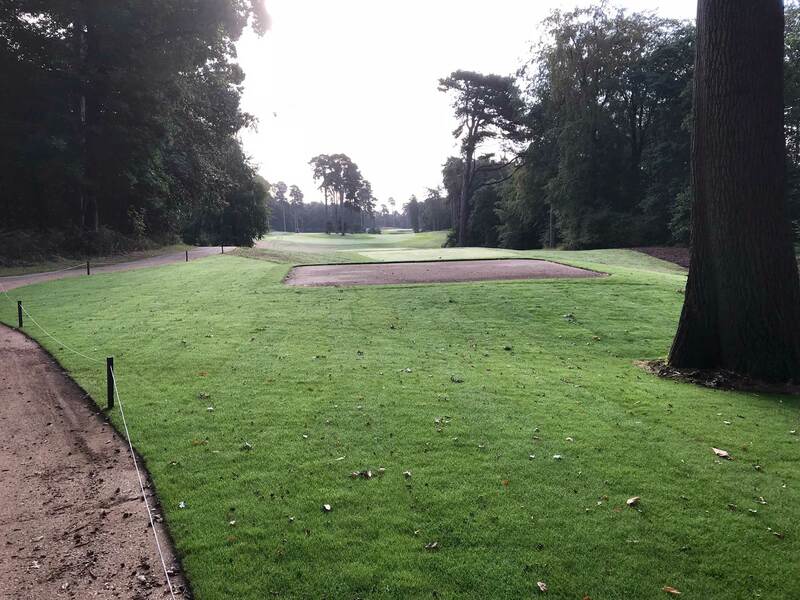 The existing tee was reduced in size by 50%. 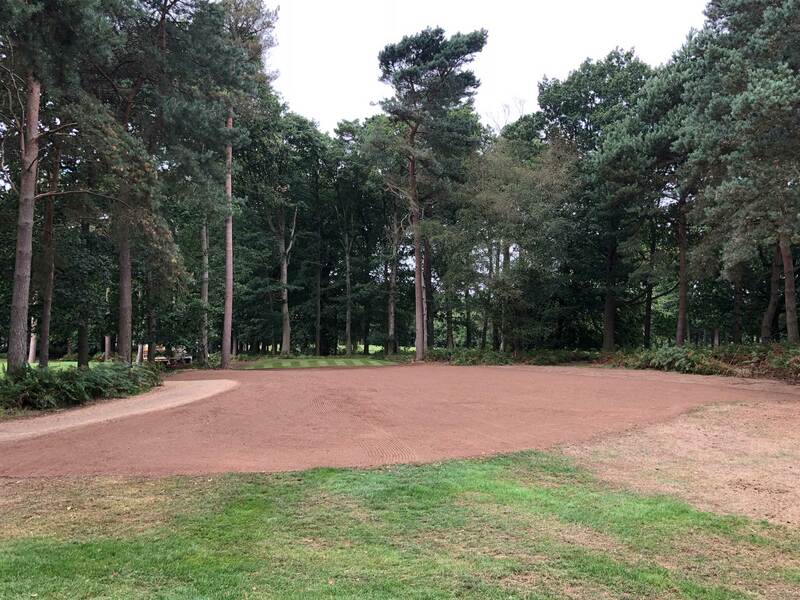 A 200mm layer of rootzone was spread and laser graded. 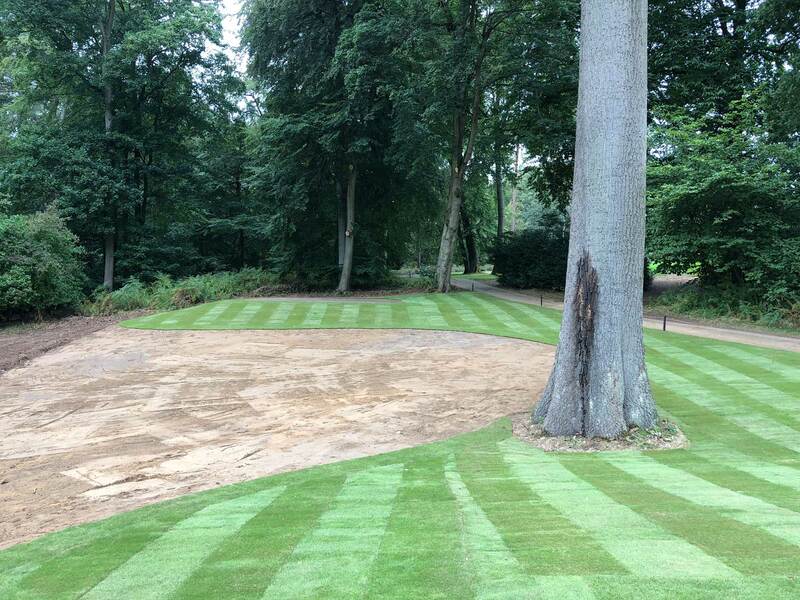 The banks were shaped with indigenous topsoil and married into the new tee tops. 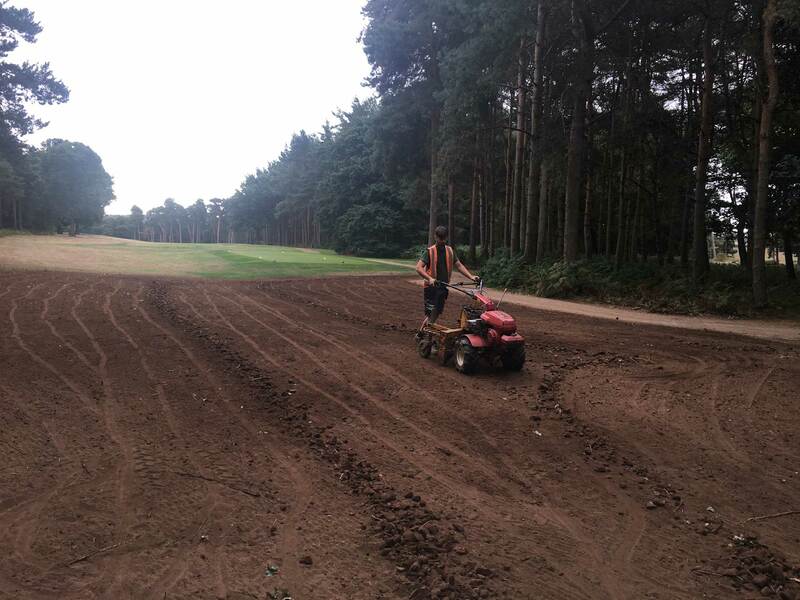 The tee top surface will be grown in by spreading hollow cores, stockpiled from the clubs green renovations. 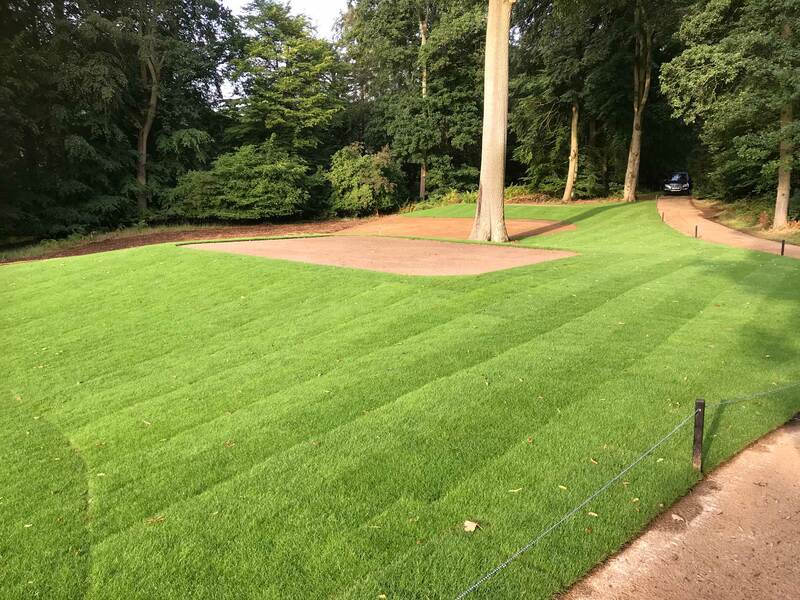 The banks were turfed using Tillers Turf Arena.